Small video for previous post. Check coordinate in property editor. Thank you very much for bringing this to our attention. I just fixed that. I've uploaded a patched version (v0.24.1) that addresses this issue with the Y coordinate. @Steffan: I'm pretty sure that that was related. However, I'd appreciate it if you could check. I have tested new version of Studio. 1. Indeed, it corrects coordinates of widgets inside containers. Also, in this version of Studio I cannot move widget to get its coordinates less than [2, 2]. This means for me, that all widgets are slightly shifted inside a containers, i.e. I cannot make container with a border, and place widget filled with some color inside, and get 1 pixel black space between container's border and widget's background. Can I do something with it? Maybe some reason requires such behavior? 2. This version generates define GDISP_NEED_CONVEX_POLYGON (without leading #), and just defines GDISP_NEED_CONVEX_POLYGON and GDISP_NEED_ARC, instead of defining them as TRUE. This leads to errors in IAR, because these defines checked in a code as #if, not as #ifdef. I have used .bat file to run my perl post-generation script, it runs when called from another folder as current, so it should be no problem with script itself, but generation code from Studio leaves clean sources for me, like my script was not run. I have used full path to .bat file, and path contains no spaces in it. 4. Tried to remove background for all pages - got white background for them. How (end where) to define 'default' widget style? Thank you for your feedback - much appreciated as always! The next release is very near. So far we've added static text items to the background editor and I've also reworked the way that post generation stuff works. It's a lot nicer and a lot more flexible now. I'm not sure if we add arraying support for the next release already or if we move that to a different release. Two containers are on the same page. If necessary, one or the other can be seen. If I try to combine containers, then one becomes the parent of the other.How to avoid such a situation. The question is not on the topic. Prompt, please the correct way of creation a modal window by analogy with MessageDlg from windows api. P.S. What function should menu item "Rise" do? It would be nice. If the studio was creating a code template with events from the widgets. 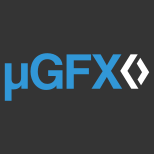 How can I join in µGFX-Studio beta program group? Hi. How can I join the µGF X-Stud io beta testing group? I'm a student. please allow me to join the µGF X-Stud io beta testing group? I sent a PM to Joel, but perhaps there are some problems... can I join the beta testing group? I have a feeling that the project is dead .. Please stop the chatter. The group is alive and well. We do however get very busy supporting real paying projects so our support on this forum is in our spare time and on occasion it can take a few days for us to reply. If you want the Beta please follow the instructions. Asking to be included here will not help. Пожалуйста, прекратите болтовню. Группа жива и здорова. Однако мы очень заняты поддержкой проектов с реальной оплатой, поэтому наша поддержка на этом форуме проводится в свободное время, и иногда нам может потребоваться несколько дней, чтобы ответить. Если вы хотите бета-версию, пожалуйста, следуйте инструкциям. Просьба о включении сюда не поможет.